Members with a son or daughter who is a high school senior and plans to attend college: Request a scholarship application today! The sons and daughters of Teamster members have the opportunity to apply for the annual scholarship offered by Joint Council 10 New England Teamsters. Click here to download an electronic version of the new Rhode Island Hospital contract. ALEC is an organization that sets up meetings for companies, like UPS and FedEx, to meet with state legislators to develop and promote anti-worker, anti-union legislation that directly hurts working families. Many Teamster members took action to tell UPS how we feel about the companie’s involvement with ALEC. UPS heard us, but as of now, UPS is continuing to support ALEC. Resolution on the Misapplication of Employee Classification Laws, written with the intent to stop state labor agencies from enforcing employment anti-misclassification regulations. Now, UPS is sponsoring ALEC’s annual meeting at a luxury resort in San Diego starting tomorrow. In 2014 and previous years, UPS has paid $25,000 to attend. Why is UPS paying tens of thousands of dollars to support legislation that hurts its workforce, and runs contrary to UPS’s own business model? TAKE ACTION by telling UPS to sever ties with ALEC. Click here to email UPS executives, or call (855) 974-4180 to report anonymously to UPS that you view its membership in ALEC as a slap in the face to working families. ALEC: Bad for UPS, worse for you. It almost came to a strike but Providence school bus drivers came away with a strong contract, including raises of nearly 44% for some First Student drivers. 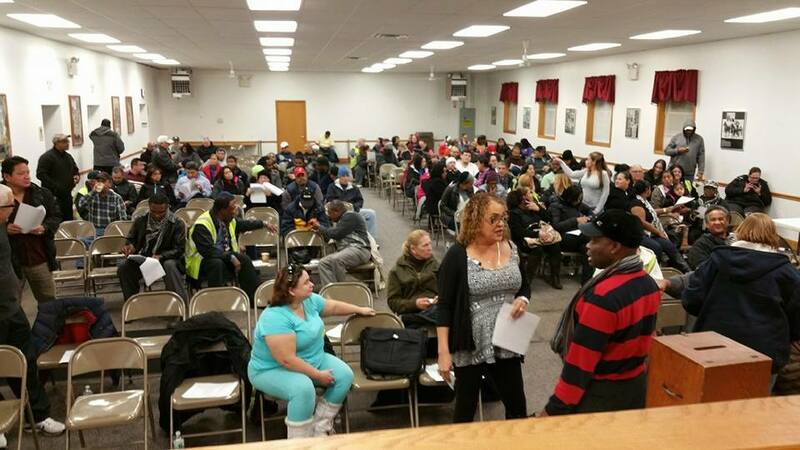 When contract negotiations covering 184 school bus drivers at First Student came to a head, management refused to give ground on a key demand of the members: to increase their guaranteed hours from 2½ to 3 hours per shift. Then they voted 90 to 6 against management’s “last, best and final offer” and voted to go on strike after the February school break if the company didn’t make an increase in guaranteed pay retroactive. 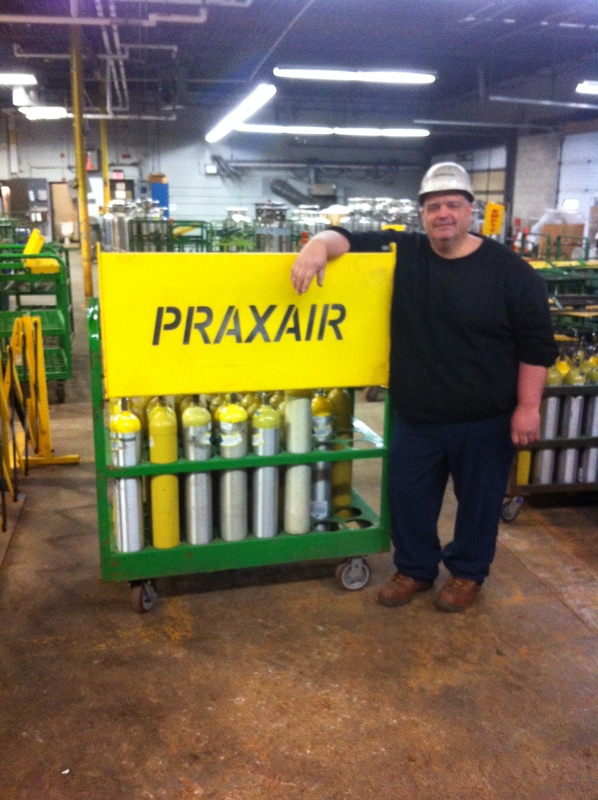 Last year, Praxair members won their “best contact ever,” says shop steward Marc Mooradian. The contract protects members’ pension and healthcare, adds two more paid sick days, protects seniority, and creates more union jobs. Members were happy with the contract improvements, but the plant manager was not. “He was always trying to throw his weight around and with new union leadership he thought he could push us around even more,” Mooradian said. With no warning, the manager changed workers’ schedules so they were forced to work until 11 at night on Fridays—a violation of their union past practice rights. Members had enough and took action. They got together and every member signed a group grievance to oppose the change and protest the non-stop harassment. DiGregorio Concrete started negotiations by demanding a laundry list of concessions. But after a one-day strike, members changed the company’s attitude and won a contract that preserves their 8-hour guarantee, maintains funding for health & welfare and pension, and protects seniority. Members at Marr Scaffolding entered negotiations with wages as their top priority. Their new contract not only defeated concessions demanded by the company, but provides for the biggest wage increases members have ever seen. Imagine you’re driving down the highway behind a semi and you see the trailer detach from the truck. Now, imagine being behind the wheel of the truck waiting for that accident to happen. 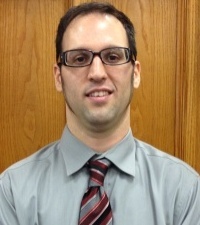 Local 251 members at YRC and New Penn don’t have to imagine. A faulty release valve used on many Volvo trucks at YRC and New Penn has caused trailers to drop in yards.